The million-dollar gift will be allocated over the next three years toward the recently approved Silvercreek Legacy development, future home to 32 families with children in the community of Silver Springs. "This is exactly what the foundation was created for," said Rob Campbell, former CREB® Charitable Foundation President. 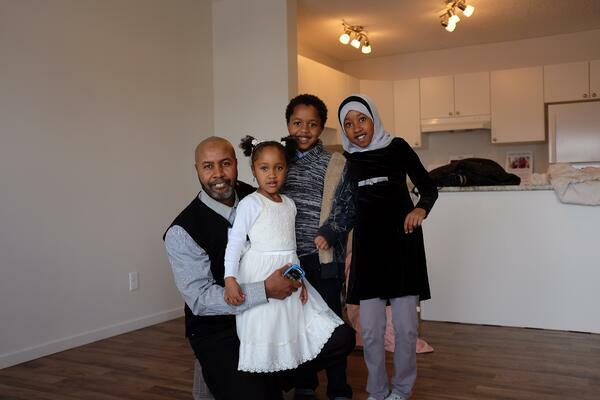 Campbell attended the Bowness Home Dedication in November 2017 where he was able to meet Habitat families. Most notably, he met a little boy named Himmy who was excited to show Campbell his bedroom in his new house. The benefits go far beyond purchasing a physical structure. For families, home ownership means improvements in finances, school performance, community engagement, as well as physical and mental health. Realtors also understand the choices that families make when choosing a community in which to purchase a home. Overall safety, access to schools, public transportation and other amenities all influence a family’s decision to buy a home. 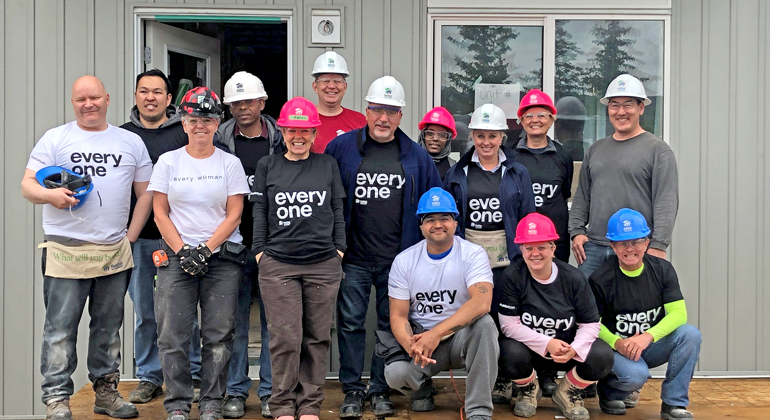 Partnering with Habitat is a statement of the foundation’s values – they believe in providing working families with an opportunity to enter the housing market. They also understand that home ownership benefits the broader community and that for many families in Calgary, home ownership feels out of reach. The City of Calgary has put forth a strategy to address the lack of decent and affordable housing for families. The initiative focuses on increasing the number of non-market housing units available in Calgary by 2025. The Silvercreek build aligns with the City’s affordable housing strategy as it is a step forward in providing more families in Calgary with the opportunity to buy their first home through an affordable mortgage. 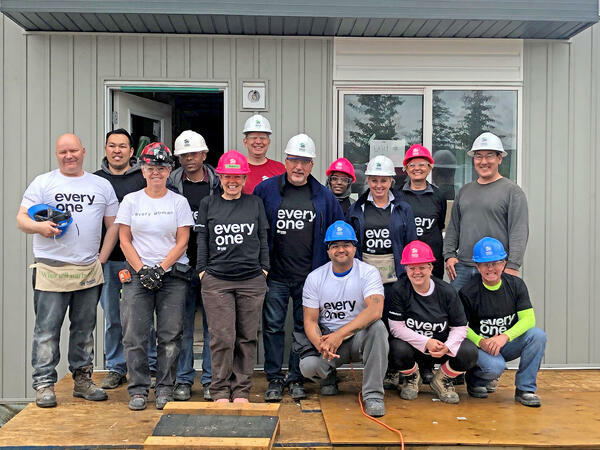 CREB® AND HABITAT BOARD MEMBERS COME TOGETHER TO CELEBRATE THE NEW PARTNERSHIP IN STYLE - BY GETTING TO WORK BUILDING IN BOWNESS! 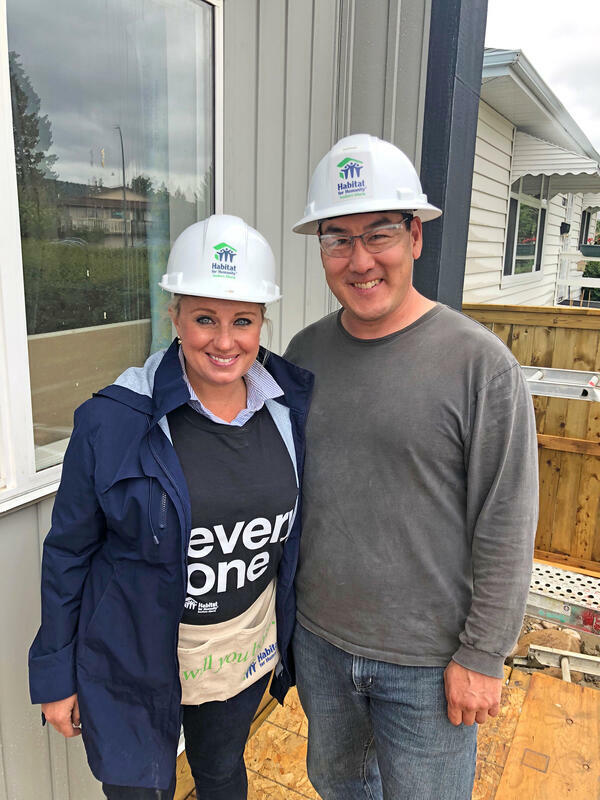 Realtors from CREB® have been doing Build Days with Habitat for years now, but this summer, board members from both the CREB® Charitable Foundation and Habitat came together for a special Build Day at the Bowwood build site (pictured below). It was a chance to celebrate the partnership in style – by getting to work!